Have you had dentures for a while or just now getting dentures and your mouth is getting sore for the first time? This is probably caused by your dentures. Denture sores can be caused by many different things. You still need to take proper care of your dentures if you don't problems can still occur. Not sure what is causing your denture sores and what you can do to try and prevent them? We are going to talk about what can cause denture sores in your mouth and what you can do to help ease the burden of them. If you have dentures it is very important to keep your mouth healthy and clean. Make sure that your dentures fit properly in your mouth. If you fail to do so, this can cause many different issues such as gum and irritation, mouth infections and if your dentures are loose this could cause problems while trying to speak or eat. There's different types of infections caused by dentures, such as Cheilitis and Stomatitis. Cheilitis causes inflammation and cracking around your mouth. Cheilitis occurs when there is too much yeast build up. Both can be prevented by proper denture care and medicine. You need to clean your mouth each day before putting your dentures in, this will keep your mouth healthy. When you are not using your dentures make sure you store them in the proper denture solution or warm water only, using hot water can cause your dentures to lose their shape. 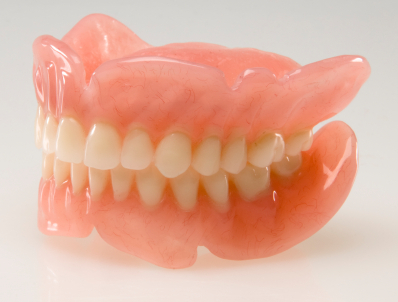 Wearing dentures can be difficult at first, but you will get used to them. If you're still having problems with your dentures after a while you may need to be seen by your dentist. If you have any questions about dentures and denture sores, please contact our office for more information.